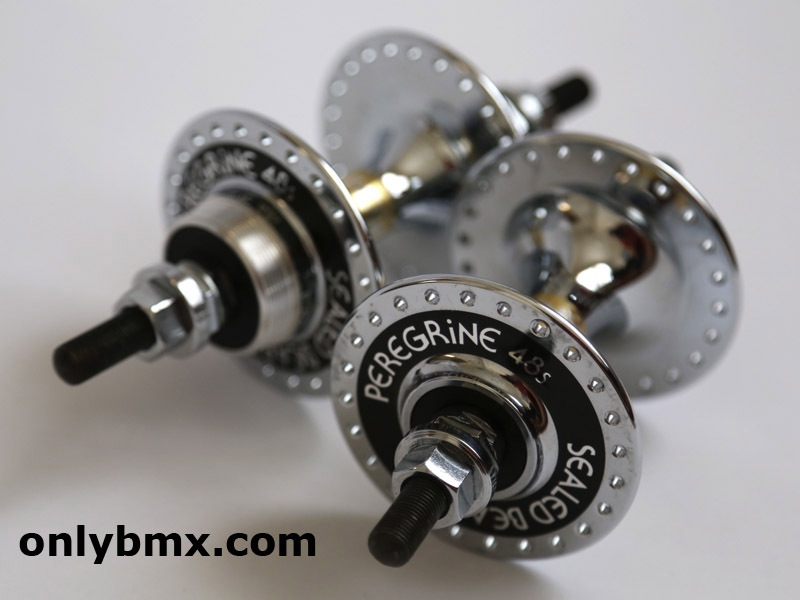 Set of NOS Peregrine freestyle BMX hubs. 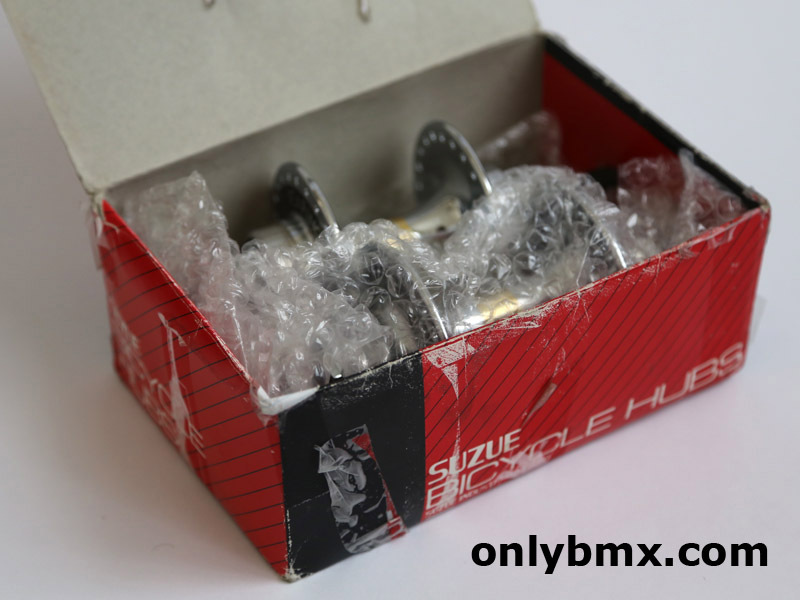 These are the sealed 48 hole hubs originally made by Suzue (hence the box). 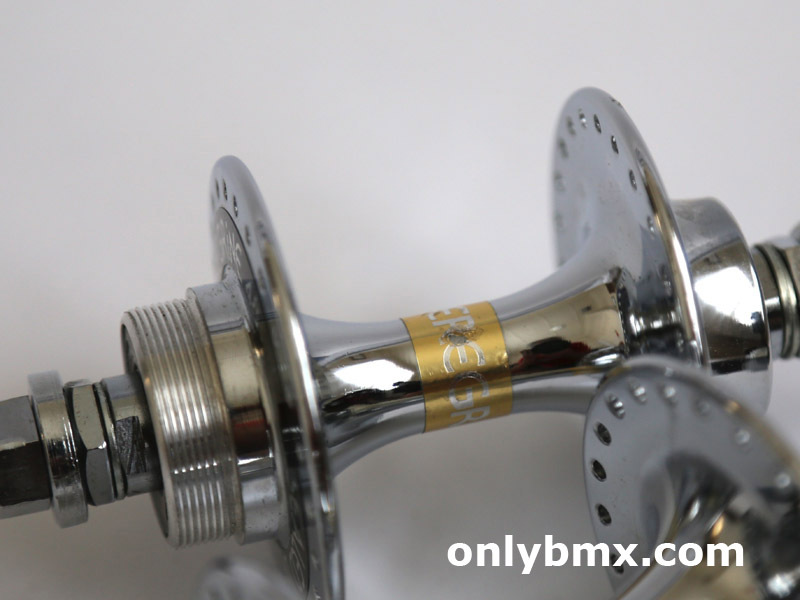 These have never been laced and the chrome is in great condition with no pitting or other issues. Stickers are original and a couple of wear marks that I have tried to show in the photos. The outside stickers are in great condition. 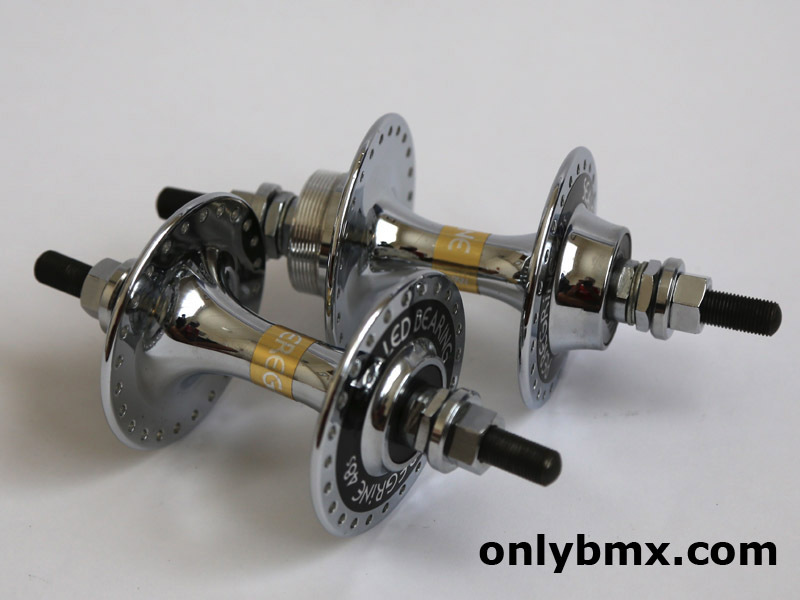 These come with the correct nuts with the built in washers. Not an inexpensive item when looking to source these separately.